Fraternity and sorority life communities across the nation are organizations rich in tradition and dedicated to the maintenance of honor, integrity, and the values set forth by our founders. We strive to inspire our members to be successful both as students and leaders, while fostering a strong sense of philanthropy and brotherhood/sisterhood. At the University of Pittsburgh, the 39 Greek-letter organizations that compose Fraternity and Sorority Life are dedicated to making sure everyone has the ability to experience the benefits of being Greek, including people in the lesbian, gay, bisexual, transgender, queer, intersex/asexual, and ally (LGBTQIA+) community. 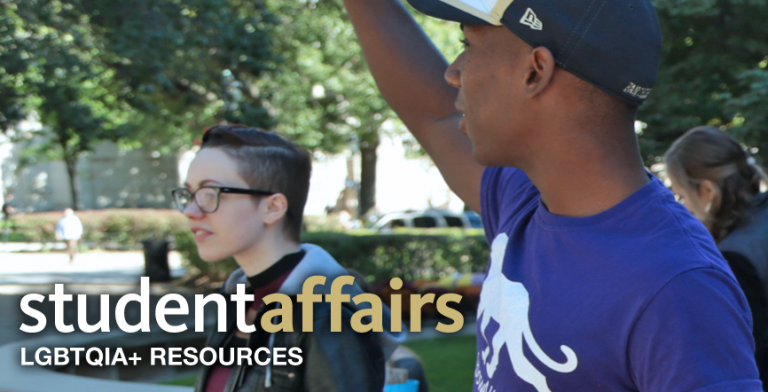 LGBTQIA+ students face a number of pressures when deciding to rush a fraternity or sorority. In addition to its numerous academic and social benefits, the University of Pittsburgh Greek community provides a strong support system for LGBTQIA+ brothers and sisters to expand their horizons and develop their character. In Spring 2012, an informal survey of Greek organizations at Pitt turned up assuring results that the LGBTQIA+ climate in its Greek community is accepting of LGBTQIA+ brothers and sisters. 17 Greek organizations participated in the survey. When asked to respond to the statement, “An active member within my chapter is ‘out’ and identifies as lesbian, gay, bisexual or queer,” 16 of 17 responses said YES. When asked to respond to the statement, “Members of my chapter have a general understanding and appreciation of transgender people and would not discriminate against a transgender person being a brother/sister who is in transition or who has a different gender identity or expression than their biological gender,” 11 out of 17 organizations responded YES. For more information visit the Fraternity and Sorority Life Web site.